Generally speaking, biopics about iconic music figures long after they’ve passed away never do them justice. That’s why the usual gods of music are mostly left alone nowadays when it comes to biopics. You don’t see ones about Whitney Houston, Prince or Michael Jackson. 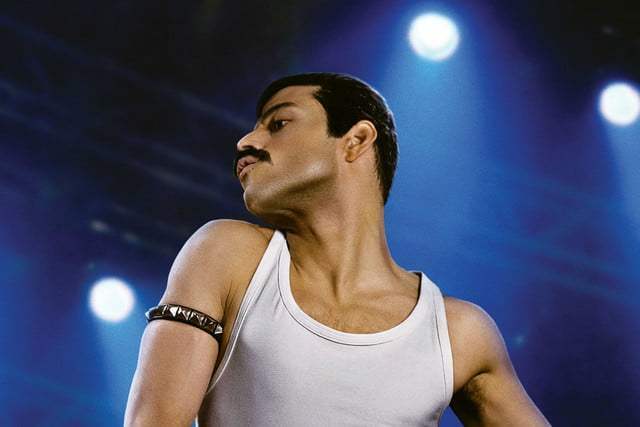 However, this year’s Bohemian Rhapsody biopic about the legendary Queen frontman Freddie Mercury and the band is not your usual biopic. Bohemian Rhapsody is – from start to end – enthralling, truthful and touching. It doesn’t simply paint Freddie Mercury as a flamboyant, altruistic and talented man. It shows something about Mercury that is rarely ever shown: his flaws. While he was a star (and still is) in every sense of the word, he was far from perfect. He lived the rock ‘n’ roll lifestyle in terms of men and drugs, was selfish and indulgent sometimes, and somewhat disrespectful towards the rest of Queen, as humorously documented in the film. But this epic film also depicts Mercury, who is played superbly by Rami Malek, as the truly good person he was. He did have a warm heart and he did get out of his somewhat abusive relationship before asking for the forgiveness of his friends once more. This film even tells the story of the woman Mercury called his “true love”, Mary Austin, captured perfectly by Lucy Boynton, and how their relationship never really died. Bohemian Rhapsody gives Queen even more heart and soul than they had before, recreating iconic moments at Live Aid and indeed in gigs all around the world. They even recreate that infamous I Want To Break Free music video in full Queen flamboyancy. It is cinema magic. As a life-long, born-and-raised Queen fan, to say Bohemian Rhapsody does Queen and Freddie Mercury justice is the largest compliment ever. It is an excellent depiction of the madness of the band, their extraordinary musical talent and provides so many stories about their most famous hits and private lives too. It’s a must-see.